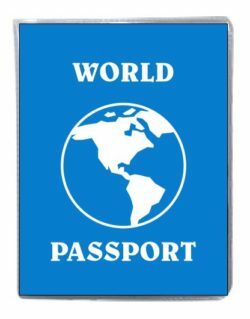 Our passports are great for your service unit Thinking Day or International event. Make sure to order our passports early. These sell out every year! 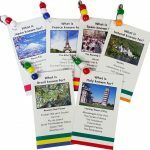 Choose your country and print fact cards. Give one to each girl who comes to your table. By the end of the event, everyone will have a full passport with fact cards from each country represented for World Thinking Day. Our International recipe cards also fit well in the passport. Holds 24 4″x 6″ inside pages in side loading plastic sheets. Fits our free printable recipe cards and fact cards. Clear cover holds an easily removable printed inset. Great for customizing. Print our fact cards and recipe cards or make your own. Cut out 4′ x 6″ pages and leave them on your cultural table for visitors to put in their passports. 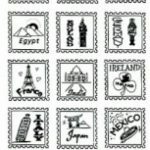 48 reviews for "International Passports"
We loved this! Our girls were the asked about a hundred times where the got them and we told them makingfriends.com. I had 35 leaders asked about passports and passport pages. And our swaps. We raved about your site. Good Job keep it up! Looking for way to more printable pages. I was put in charge of planning our SU thinking day event. Ordered 100 passports. We’ve started printing fact cards (hope there will be more!) and plan on having the girls pick up a fact card at each booth to put in there passports. We will also ad photos and other memorabilia from the nite. It will be a nice keepsake that will last for years. We love using the passports for our Girl Scout World Thinking Day event. They are the perfect size and we love using the printouts to go along with them. The delivery was fast too! Passports are well made, definitely goimg to hold up to rowdy girls. The inserts were so easy to put in. 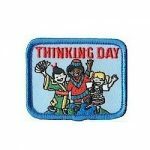 30 girls from 4 troops attended our thinking day celebration. The passports and printable were a hit! 2nd only to the food!!! They were a great hit at our World Thinking Day Service Unit event!